Jeffrey Caine wrote the screenplay, based on the novel by Norman Lebrecht. The original score is by Howard Shore. The film, described as an “emotional detective story,” unfolds at the start of World War II. 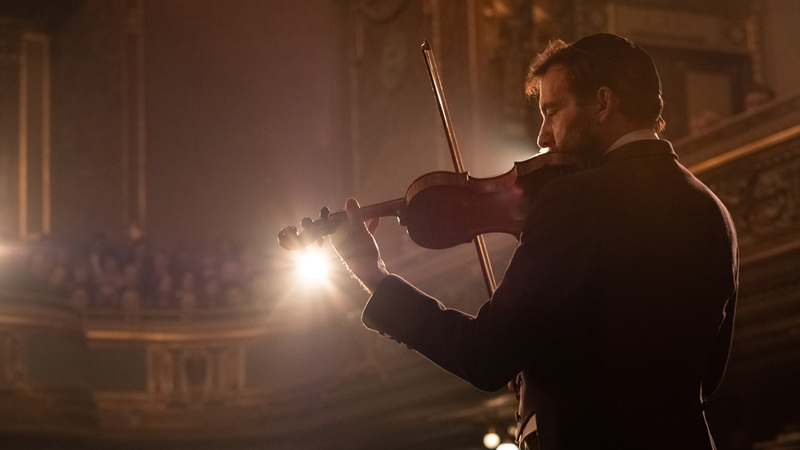 It centers on 9-year-old violin prodigy Dovidl, a recent Polish-Jewish refugee to London. His brother Martin, of the same age, is devoted to him. Other cast include Catherine McCormack, Jonah Hauer King and Gerran Howell. The film is directed by François Girard and is produced by Robert Lantos, Lyse Lafontaine and Nick Hirschkorn. The co-producer is Viktoria Petranyi. Executive producers include Mark Musselman, Peter Touche and Stephen Spence. The film is a Serendipity Point Films and Ingenious Media presentation of a Serendipity Point Films, Lyla Films and Proton Cinema co-production. It is produced in association with Telefilm Canada, SODEC, HanWay and Feel Films. Elevation Pictures will distribute in Canada.